The winter weather has finally hit and the snow and cold are ferociously attacking Michigan and it truly makes the Christmas holiday feel so much more special. And I have to say that it sure is inspiring to see all the gorgeous Christmas/holiday projects! 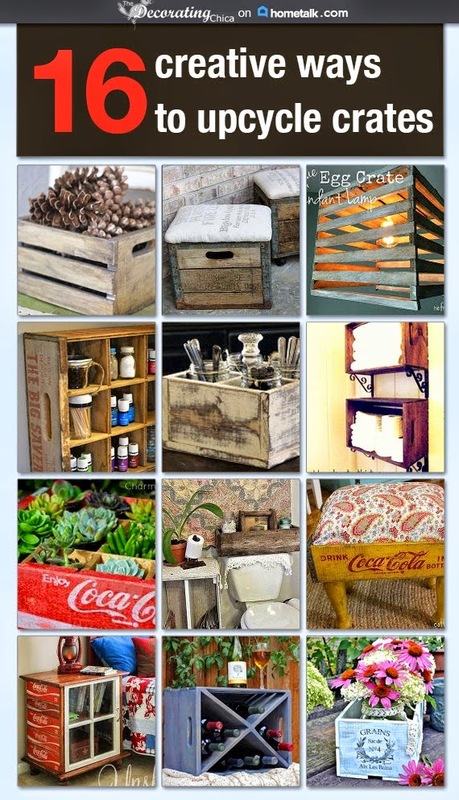 I am not normally into the whole craft thing but I am certainly inspired to try. In fact, I just completed super easy homemade bath salt project here. This project was right up my alley! There are many different ways to use ornaments to decorate for the holidays. Not the traditional, hang on the tree type of decorating. But thinking outside the box and using ornaments all around the house. 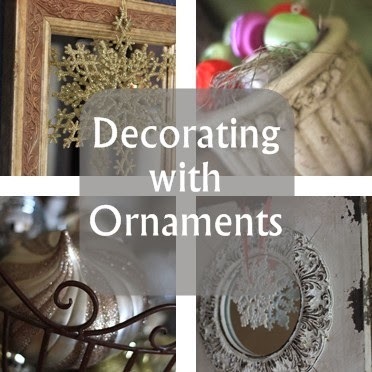 Here are a few simple tips on decorating with ornaments. to add simple holiday cheer. when the light is reflecting on them! look great in glass containers! Ornaments add sparkle to any container! from the ornament and the mirror! How do you decorate with ornaments?